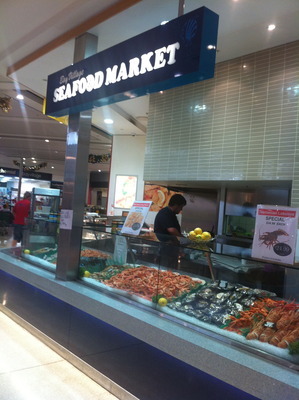 The Central Coast area is well known in providing quality seafood at restaurants and specialty seafood stores and even at the supermarket; especially when it comes to prawns. Only the best will do. So where exactly can the Central Coast's best seafood be purchased? I have tried a few places where prawns (garlic, cooked and raw) can be enjoyed; especially at The Entrance, and I believe that the Bay Village Seafood Market is the place for the very best and freshest seafood in this area. 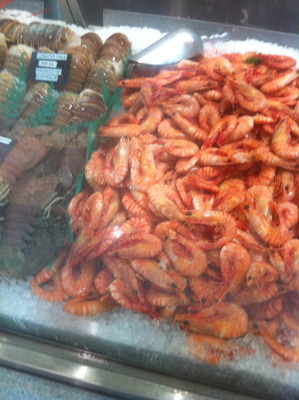 Firstly, the prawns are so fresh and tasty, and one thing is for sure, they are quite well displayed. In fact all of the fish that can be purchased at this outlet is so fresh, and the added bonus is an encounter with a friendly face; great customer service is also provided at this establishment. What do you think? 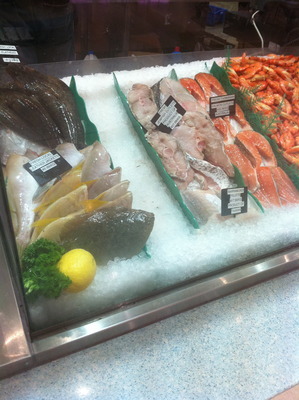 Where can the best seafood be purchased at the Central Coast? Looking forward to your discussions on this one. Bay Village Seafood Market is no longer opened! go to Casanova Seafood at Long Jetty! BEST ON THE COAST!